It seems like Mercury retrograde is pulling out the stops when it comes to our emotions and introspection. 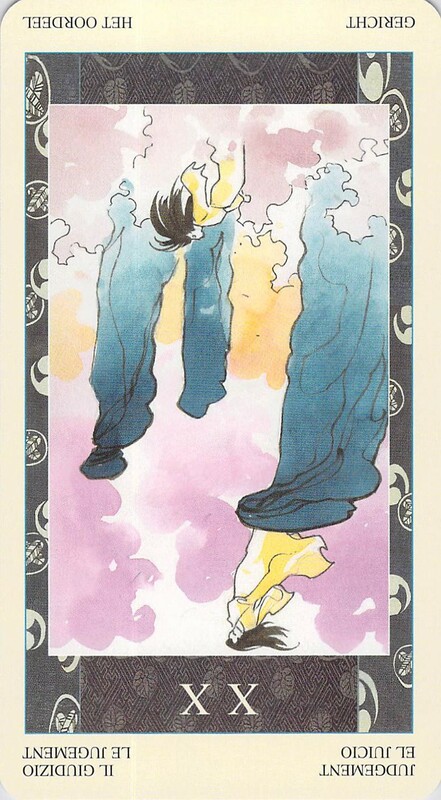 Again from the Samurai Tarot, we have the reversed Three of Cups and the reversed Five of Wands (third time recently for the Three of Cups? 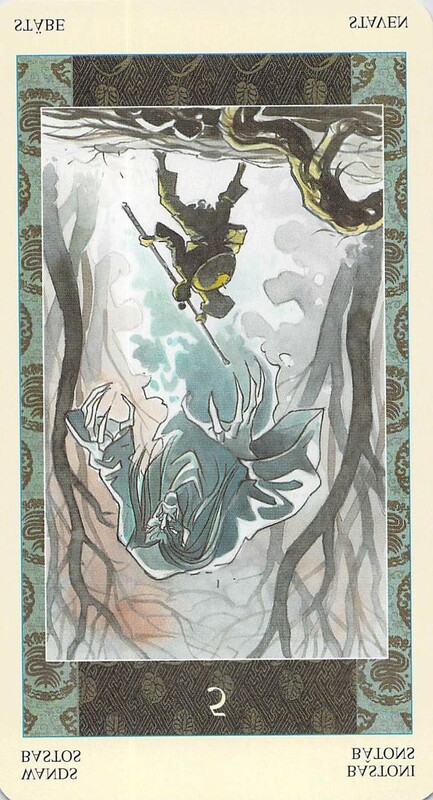 second time recently for the Five of Wands? ), and, tying the two together, Judgment reversed. What do we have here? 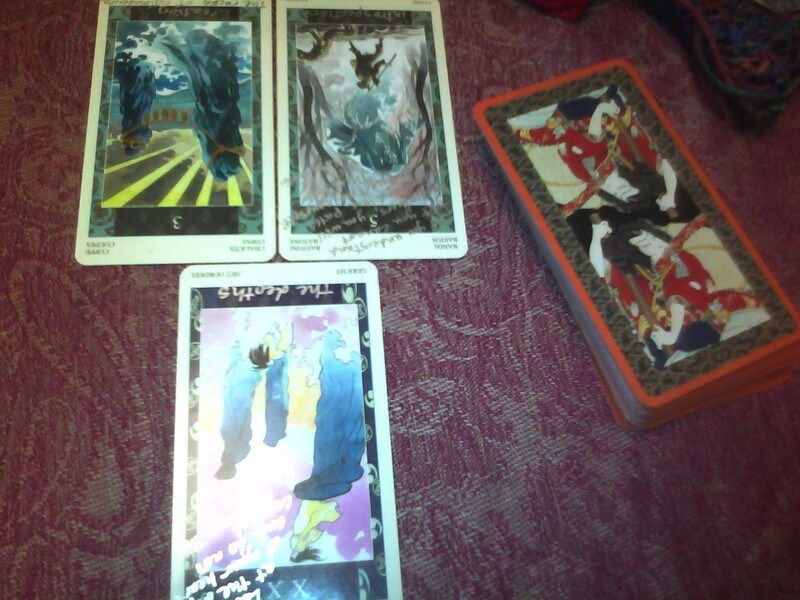 In each of these cards, the two shown are tied together. 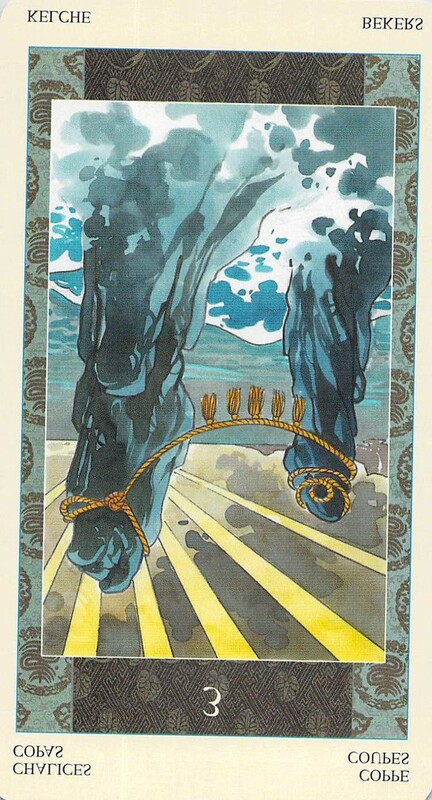 The rocks at Futimagaura, on the Three of Cups card, are tied together literally with a rope. The self and the self on the Judgement card are tied together by the fact that they are the same person. And the traveler and the ghost are tied together by their shared history.